Spring Sale starts April 20th!! We will start our spring season hours on the 20th as well! A Pedego electric bike rental is the very best way to experience Park City and beyond! The nearby bike trails are safe and breathtakingly beautiful. Winter riding has never been more fun! Rentals with snow studded tires are available for winter riding. Visit Park City spent an afternoon cruising around town on a Pedego Trail Tracker and experienced the thrill of riding in the snow. To view the article, click here. In town on vacation with my wife and kids and a friend had recommended this bike shop. It was an exceptional experience and was not disappointed one bit. The workers were super friendly and helpful. My son was scared to go on the bike and the lovely manager took her time to explain how safe and fun the bikes are. My son gave it a try and had a blast. Thank you so much for everything. Will be back again when we are in town! This place was SO amazing!! Nicole the manager/owner was so cool and helpful, and Dan gave us awesome tips on the best trail rides. There were 3 of us girls out for a girls weekend in PC and renting these E-Bikes was seriously the highlight of our trip. The bikes had the pedal assist option (which I really didn't think we would use, but it was the best!) Seriously fun and the bikes were all new and in great condition. Would highly recommend this place to anyone interested in renting (or buying!) 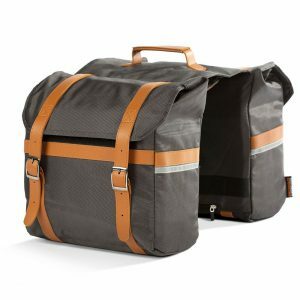 bikes / E-Bikes in PC. Definitely 5 stars all the way around and we will definitely be back! Yahoo - Pedego electric bikes finally arrives in Park City. 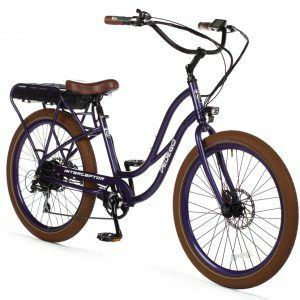 Comfy beach cruisers with a little electric motor that helps you get up the nasty hills. You can pedal and hit a little a button and it helps a little or it helps a lot. Rent one and you can go cruise anywhere you want. It's not the bike for the back country or the single track trails but it's prefect for the paved bike trails in and out of town. Great for a small shopping trip and ideal for going into main street when the parking is ugly, and its fantastic for a cruise. We took them on a loop on the rail trail, through the old ranch road and up by McPolin farm, stopped for lunch at PCMR and back home for a great outing. Fun, Fun, Fun. Pedego Park City is located off Bonanza Drive and Prospector. We have easy access to many of the beautiful trails around town right outside our doors. We offer electric bike sales, rentals, tours, and accessories! Electric bikes are a wonderful way to see what Park City has to offer, and to see the beauty of our town while pedaling or not! We are a family owned business. Jan and Sherri opened the store in 2014 and their daughter Nicolle took it over soon after in 2016. We love putting a smile on our customers faces and introducing them to FUN!